Due to an especially volatile political landscape, and ongoing debate over the viability of legacy American industries, the manufacturing industry has been a hot topic recently. The manufacturing sector was once an immutable staple of American life, but have times changed? Can the former industry juggernaut contend with 21st century pressures and adapt to a changing cultural landscape? The United States was built on manufacturing, and yet today this trade wavers in terms of financial stability. Economic and political factors such as globalization have uprooted the sector that was once integral to American livelihood. Offshore manufacturing has pushed this long-established trade onto shaky grounds, and forced the industry to discover new reasons to stay domestic. Does this titan of business still offer sound entrepreneurial opportunities? Well, the short answer is yes: America is still the largest manufacturer in the world. Let’s dive into the modern-day state of this sector. We will review how this trade is leveraging global consumer trends and how it is progressing with the times as opposed to against it. At the foundation of American livelihood is the manufacturing industry. In the infancy of our country, production of everyday necessities such as cotton or wool as well as consumer products like shoes and watches helped catapult the young nation to prominence. Fast forward to the 20th century, manufacturing in the wake of WWII helped establish the soon-to-be vital middle class and cement America as a world leader. Throughout the 20th century, manufacturing continued to gain traction and eventually became one of America’s defining sectors. Computer parts, agricultural products, chemicals, and food were historically some of the most popular exports. Manufacturing trended upward for the remainder of the century and gradually compounded on the success that was initially brought on by the Industrial Revolution. It wasn’t until the 2001 recession, and then the 2008 recession, that the industry showed any signs of slowing down. Offshore manufacturing continued to gain popularity as production and sales took off. The undeniable appeal of cheaper and more effective labor resulted in some backlash to the domestic side of the trade. Yet, this hiccup hasn’t brought the industry to an end but instead caused it to shift gears and head toward innovation. Technology has made massive contributions in keeping this American trade afloat. And, any entrepreneur worth their salt will definitely want to be a part of the revamp. American manufacturing has been on the upswing thanks to the decision to adapt rather than stagnate. Industry leaders of today are challenging the status quo and favoring forward-thinking strategies, which has helped revive many horse-and-buggy industries. New ideas, backed by fresh technology, has given American manufacturing a new reputation as a popular, and profitable, trade. America still holds the reigning title in manufacturing, producing 18.2 percent of the world’s goods. What is the recipe for its success? Automation — a word that many have heard, but few understand — is partly responsible for America’s manufacturing comeback. The industry has experienced a 250 percent productivity increase in the past 30 years, much of which is a result of automation innovation. In fact, technological advances can help reduce the threat of offshore manufacturing by providing a new appeal to stay domestic. A specific facet to automation that helped in modernizing the American manufacturing market is artificial intelligence. AI enables machines to not only perform tasks at an affordable price point but also train themselves to improve efficiency over time. AI enables machine self-learning, which compounds knowledge over time and translates it into actionable improvements far beyond what any human is capable of. 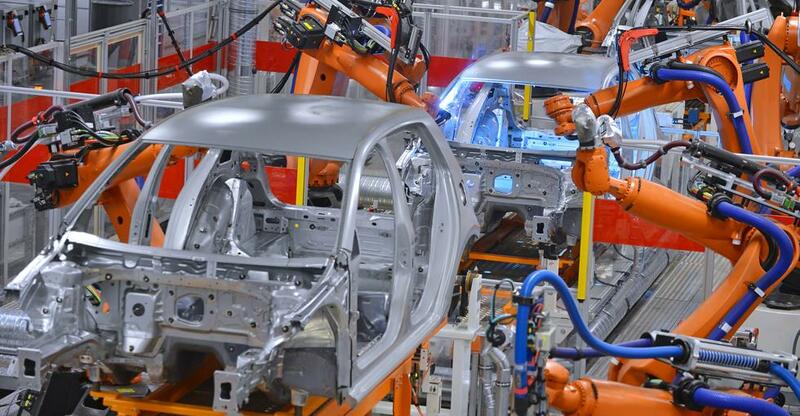 Industrial Internet of Things — Advancements in data gathering and processing have improved the analytical aspect of manufacturing. The new generation of factories will depend on interconnected networks of machines and computers. Green production — If Tesla’s solar-powered Gigafactory is any indication of the future, then we can expect more factories to prioritize the environment. This will not only stimulate the green energy sector but provide a strong reason to bolster domestic manufacturing. Safety — Thanks to AI and automation, repetitive, often dangerous, work can be assigned to machines and save workers from hazardous working environments. There’s no question that the manufacturing sector is filled with ongoing changes. But, rather than fear the uncertainty of an evolving industry, we should continue to embrace it. The new era of American manufacturing has already begun, and this is a valuable industry for aspiring entrepreneurs. American manufacturing is worth more than $2 trillion and is made up of 12 million employees. The trends outlined above are illustrative of an industry on the upswing, so there has never been a better time to dip your toe into the manufacturing industry. Find your next entrepreneurial pursuit, or sell an existing business, with the help of the world’s largest online business marketplace. Here you can connect with buyers and sellers, or brush up on manufacturing industry trends.